Research from Greenwich Associates found that brokers expect almost half of their clients to ask for customised algos over the next year. 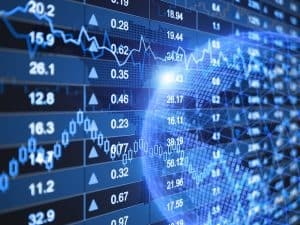 Brokers globally are anticipating a surge in demand for customised algorithms from their buy-side counterparts, according to research. A report from Greenwich Associates exploring the evolution of equities sell-side execution technology found that brokers expect 48% of their clients to ask for more customised order-handling logic over the course of the next year. With almost half of buy-side clients looking for customised algo solutions compared to just 27% last year, Greenwich Associates said the increase reflects how fast equity execution technology is evolving and how hard brokers must work to keep pace. Historically, most bulge-bracket and agency electronic brokers have white-labelled their algorithmic services to other brokers, but relying on another broker for algo execution could limit the ability to provide customised order-handling logic to the buy-side. In response to this, Greenwich Associates found that brokers are increasingly focused on offering customised algos, with 94% of electronic trading executives agreeing that customisation is an important part of their service model. The report also estimates that around 73% of global equity flow is now executed electronically. Despite buy-side traders still routing a large proportion of their order flow via high-touch channels, many of these high touch orders are usually executed by sales traders using their algo desk’s services. The report concluded that this highlights the need for the sell-side to have flexible and robust electronic trading infrastructure in place, even when electronic trading isn’t a core part of their client services.